Hours vary by season, but usually crews work five hours a day, Monday through Friday plus 2 hours on the weekend (usually Saturday) in exchange for room and board. 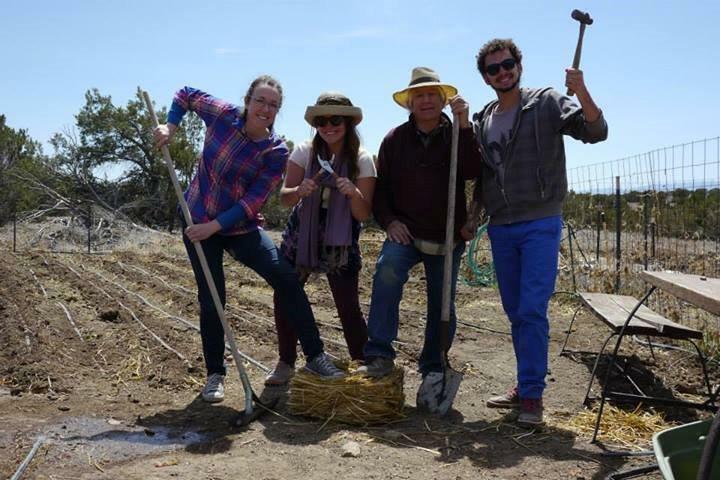 You will get hands on experience helping with a variety of tasks from planting to weeding to harvesting and going to market. 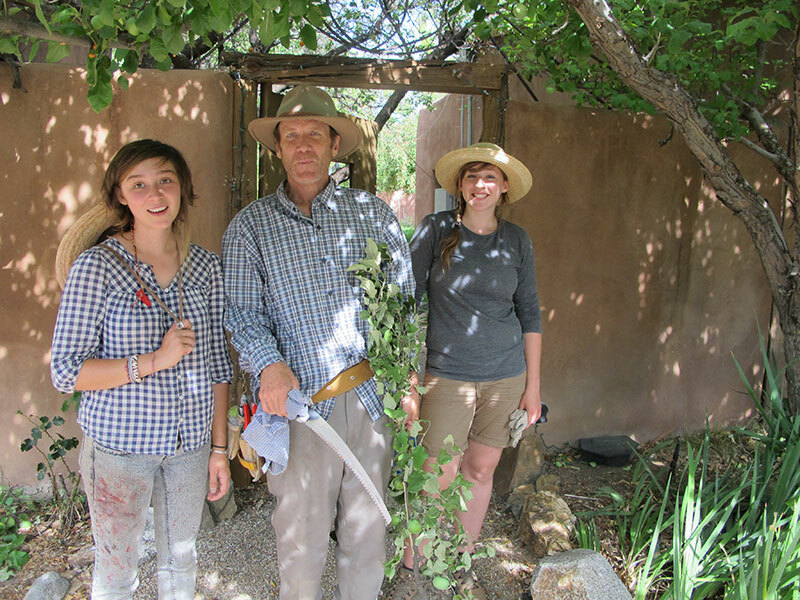 Volunteers work alongside and learn from eco-researcher, author, and organic farmer Mark Nelson, and ecologist/publisher Deborah Parrish Snyder in the fruit orchard and vegetable gardens. We are certified organic and use practical techniques to grow successful crops without chemicals in this arid climate. Once you are finished with your day’s work, you are free to enjoy the laid back and fun atmosphere on the ranch. You have time to enjoy hiking trails, peruse our library, explore nearby cities and attractions, etc. Dinners are in the community kitchen. Lodging is either in the Tipi, simple room, tent or the library tower with nearby bathroom and shower facilities in our adobe buildings. You’ll make your own breakfasts and lunches from our well-stocked refrigerators and pantry in our ranch kitchen. Dinners are eaten together in the community kitchen. You’ll taking a turn on cooking detail once a week for community meals, and are responsible for cleaning up after yourself in the kitchen. Organic Biotechnics at its Finest!